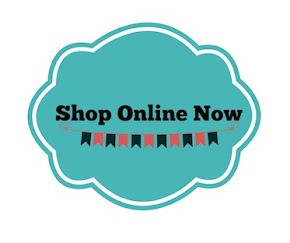 Welcome to the ESAD Occasions & Sale-A-Bration Blog Hop for 2105. This is my first time doing a blog hop with ESAD & I am really enjoying all the wonderful projects these talented ladies are sharing with us. As part of this Blog Hop all of our blogs are linked together, so that no matter where you start, as long as you keep clicking on the link for the next blog, you'll eventually work yourself all the way around, and back to where you started. Hopefully you'll be inspired by all the amazing projects that you see, and perhaps leave a comment on each of the blogs, so we know you were there, and how you liked the projects. 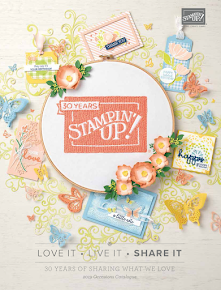 For this Hop, we chose to showcase lots of NEW products from the 2015 Occasions & Sale-A-Bration catalogues. If you were following the links, you arrived here via Sally Williams. Isn't she amazing?! I love Sally's work, and her gorgeous creations. My project today is a little notepad folio with 3 cards inside. Perfect for a gift for a friend or even a hostess. I am planning on giving mine to my mum on Mother's day & will be running this as a class in late April for those in my area. I have chosen to showcase two great products from the Occasions Catalogue. 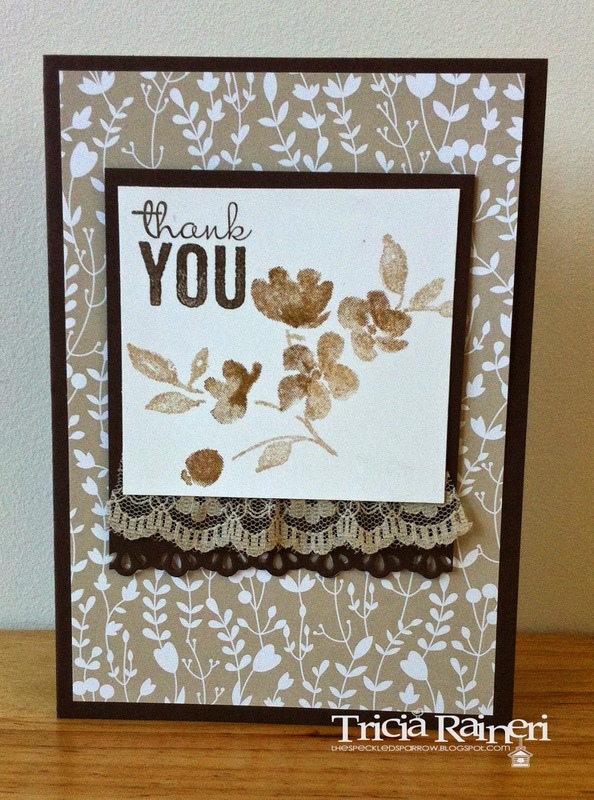 Painted Petals stamp set & the gorgeous Something Borrowed DSP. Here is the cover of the set, I used Early Espresso as a contrast colour to keep the whole look neutral. The best part is this uses an A4 sheet of card stock. The dimensions differ depending on the size of your notepad, but it is really easy to make. It holds 3 cards & envelopes easily & could be used to keep receipts or documents as well. 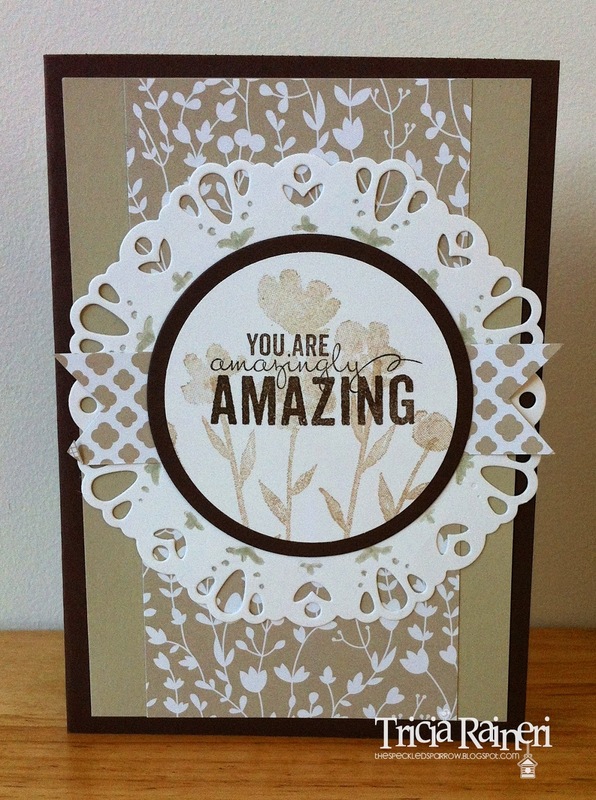 I made 3 matching cards to keep with the theme, using the Painted Petals stamp set. The flowers in this set are so soft & pretty. Here is the whole set together. We love what we do & love to share with our customers, friends and blog visitors. We also share what we love in our ESAD Demonstrator community, through swaps, challenges, sharing knowledge, ideas& friendship and we're always there to help and support each other. I hope you have enjoyed my project today & that you continue on your journey through the blog hop. Next you'll be heading over to see the talents of Nerida Carter – I know you'll love her projects. 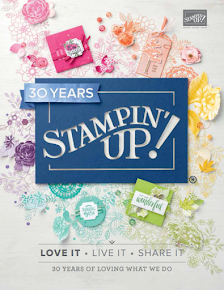 I hope you'll come back and join us again next time….until then, Happy Stamping! What a stunning set. Amazing work. What a great set! This would make such a lovely gift. Love the bundle of projects you've made. Very classy colours. Gorgeous! But of course I love that paper!! I love your stationary set Tricia. And they way you've used Painted Petals. I've only ever seen it in floral tones, so the neutrals is a wonderful change of direction. Thanks for the inspiration. Stunning set anyone would love to receive that. This is so gorgeous Tricia and wold make a lovely gift for someone. Thanks for sharing your beautiful folder and cards. 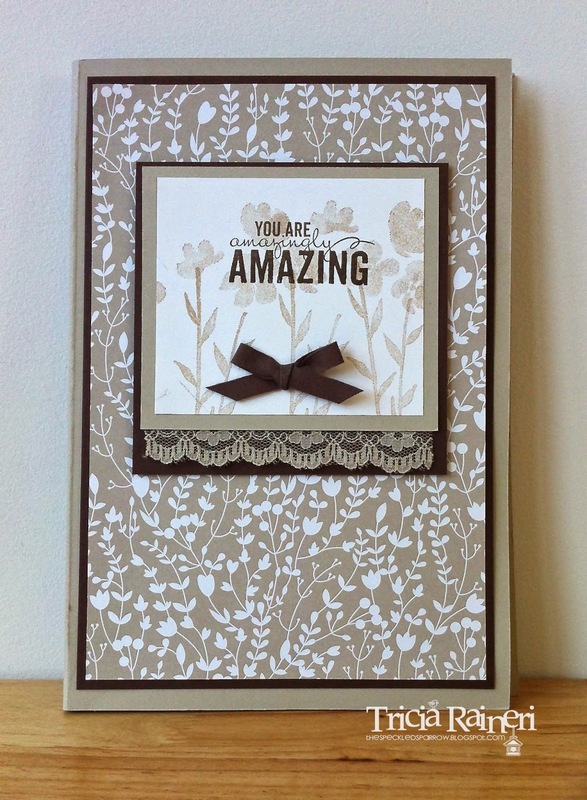 You know I think this project is Amazingly amazing, as are you - very creative and totally gorgeous Tricia!